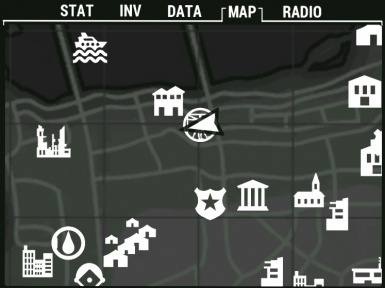 A lightweight Institute player home/interior settlement located close to the center of the map. Contains assets and modified assets from "AS Craftable Institute Stations". Fixed 2 major bugs: NPC/Caravan travel and map visibility. Adjusted the layout of stations, furniture. Added a few new things. Added scripts to open and close pods downstairs. 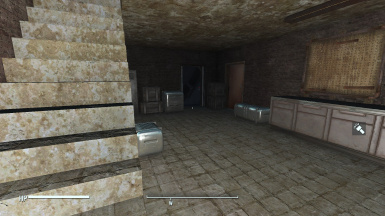 Make a backup save, remove all your stuff from Section 9, exit, then travel to another interior. Save your game, unload this mod, save again. I also suggest using a save cleaner if you know how to use it properly. Made for my needs of a nicely lit, good looking and quick loading settlement. 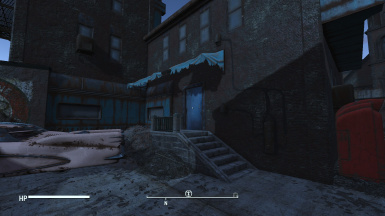 It is an interior settlement, only placing one door in the Commonwealth with a minor change to navmesh in (-2,-5). You can find it north of Police Precinct 8, opposite the church. It leads to a small cellar with a secret door revealing a small Institute area with all the basic crafting stations and other facilities. It is not fully scrappable/modable - it is not and never will be designed for that. A lot of it can be scrapped though and the cellar has a power fusebox. The institute area has no power connectors - after some fiddling i gave up with setting up a power grid as i don't have much use for it. The area should not receive any attacks. Caravan/NPC travel from/to is still somewhat untested. Do report bugs with it. Some doors should be openable only by a switch but can be opened by the player and NPCs. The decontamination shower is rather horrible looking. 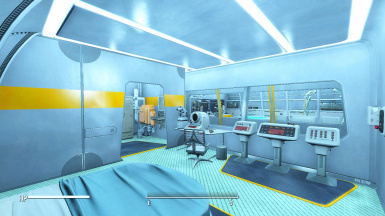 If you know of some good effects/items that have the institute look to put there let me know. It also uses the doctor script that removes all but one rad. Tie it into quests for discovery/access. 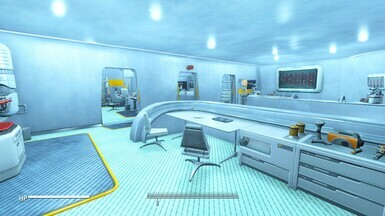 Make medbed and the tanks in the lower part serve as medical/drug recovery, synth storage, etc. Use the apparatus to transform characters into synths etc.